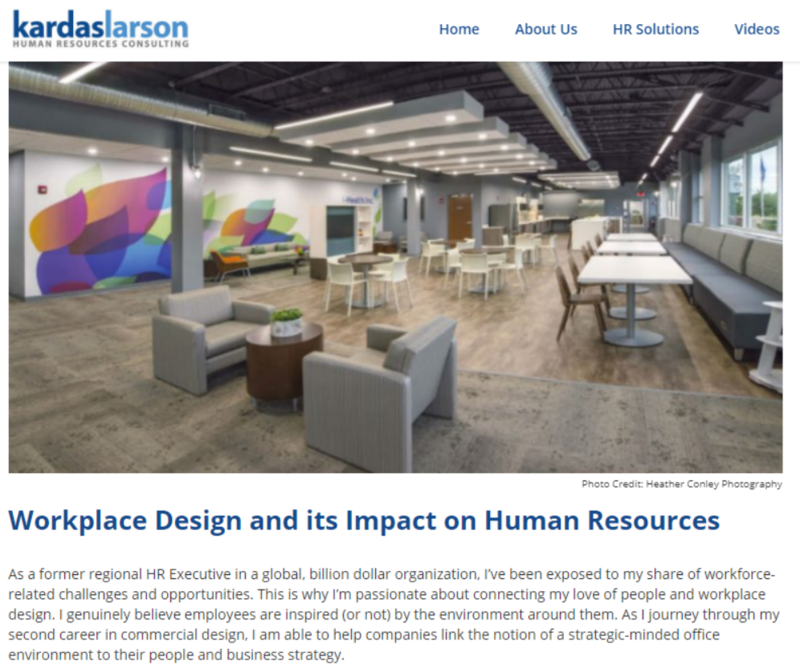 Recently, I shared my experiences with Kardas Larson Human Resources Consulting Firm the notion of linking business strategy to interior workplace design. Maximizing the investment you make in your corporate interiors can help drive recruitment efforts and positively impact employee morale, therefore supporting retention. To read more of my approach, click here.